Hi, it’s Kristin here again from Grandma’s Chalkboard! So, to make my clean-up a littler easier, I’ve made each of my kiddos their very own easily-adjustable apron, using laminated cotton (that is totally safe for kids)! 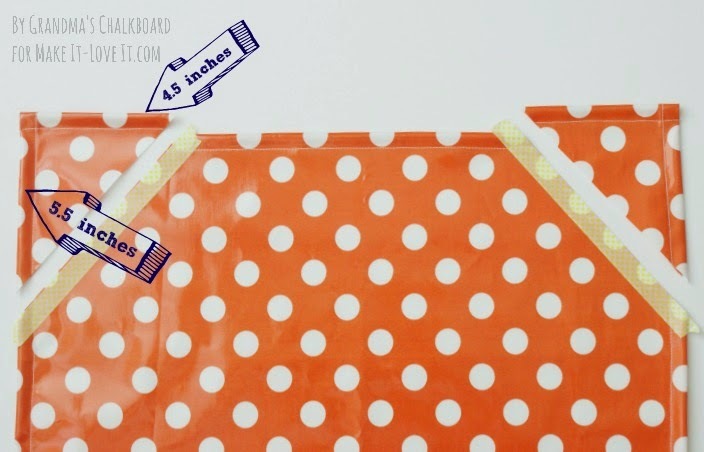 And because the apron is made from laminated cotton, clean-up couldn’t be easier! Just wipe down and air dry! 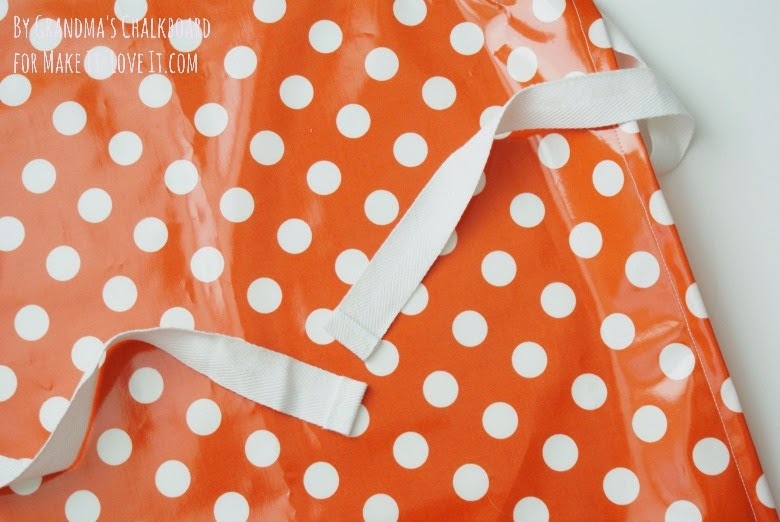 Of course, this apron could be made from any fabric you choose (from a thin cotton to a thick canvas) but this laminated fabric makes things so much easier. 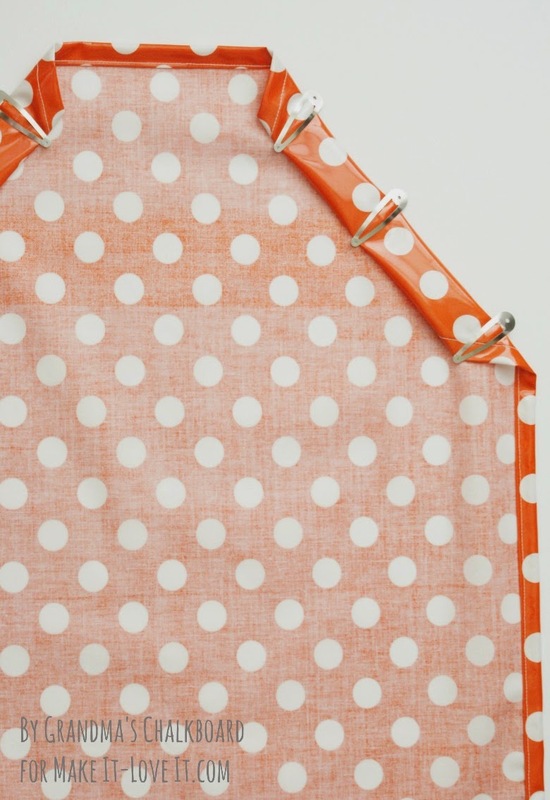 Pair an apron with some art supplies to make a super cute gift! 2 yards thick twill tape, ribbon, or even fabric, for the tie. Okay, cut the fabric to a 21 x 24 inch rectangle. We’ll hem the long sides first. 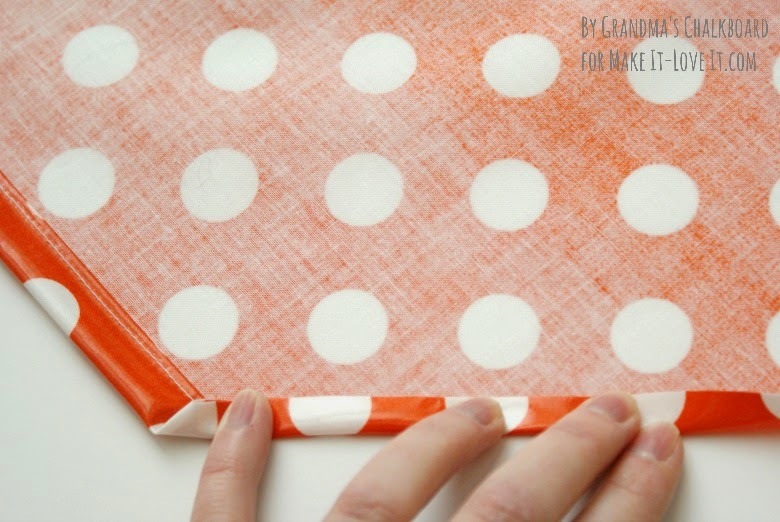 To hem the sides, fold the edges over 1/2 inch, then fold over again. This feels a little more like rolling than folding because the laminated cotton is stiffer than regular cotton fabric. 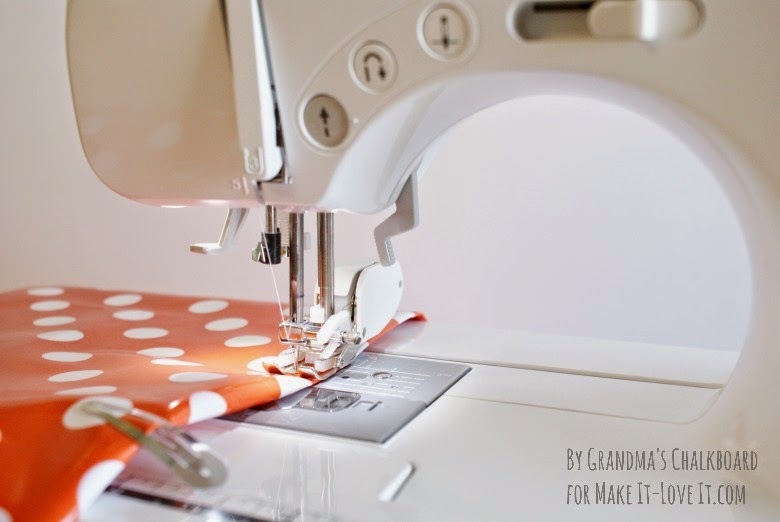 To keep the fold in place while sewing, use binding clips, paper clips, or even hair clips. 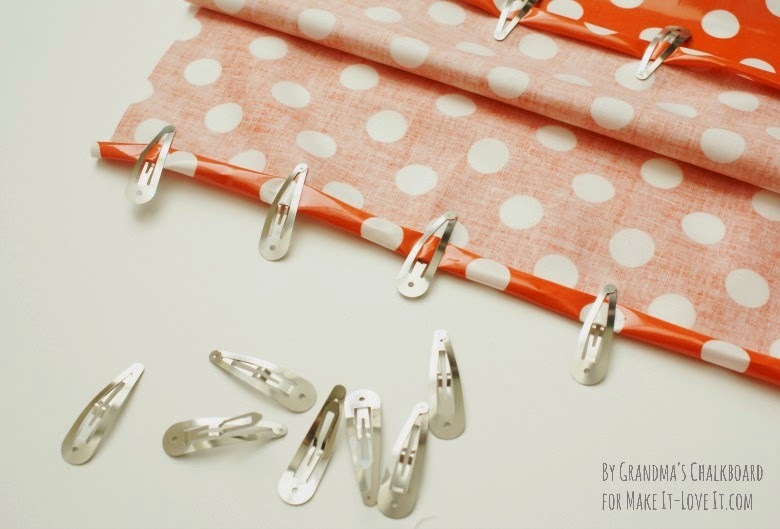 It’s recommended that you don’t use pins on laminated cotton as it may leave holes in the plastic. Also, you’ll want to keep the laminated cotton away from your iron. 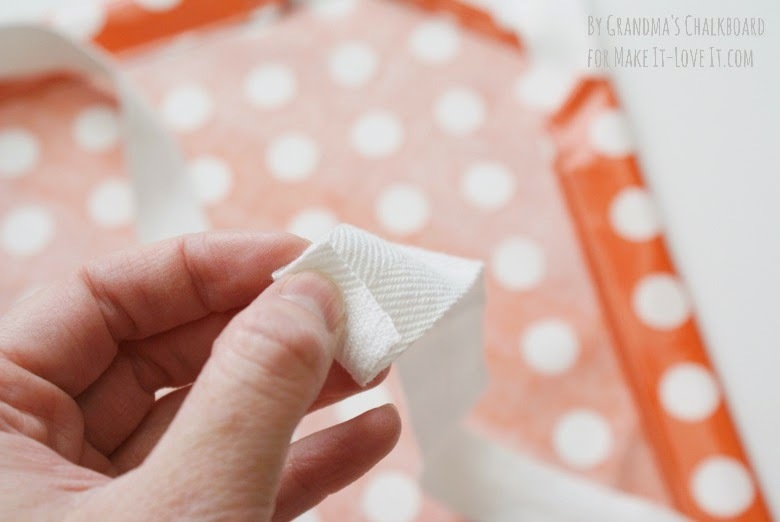 If you do need to iron it (to remove any ‘dents’ in the plastic that are driving you crazy) spray it lightly with water, then place a thin press cloth on top of the laminate before ironing. The first apron I sewed, I used my regular sewing machine foot. I didn’t have a problem with the plastic-y surface not feeding through my machine. On this apron, however, I tried my walking foot. Both feet worked, but the walking foot producing a slightly neater stitch. Sew from the right side of the fabric, using a 1/4 inch seam allowance. Next, hem the shorter sides, the same way. After all the edges are hemmed, measure and mark 4.5 inches in on the short sides, and 5.5 inches down on the long edges. Connect your marks and cut just inside the line. Now, fold over the diagonal edge .25 inch then 1.25 inch to make the casing for the twill tape. 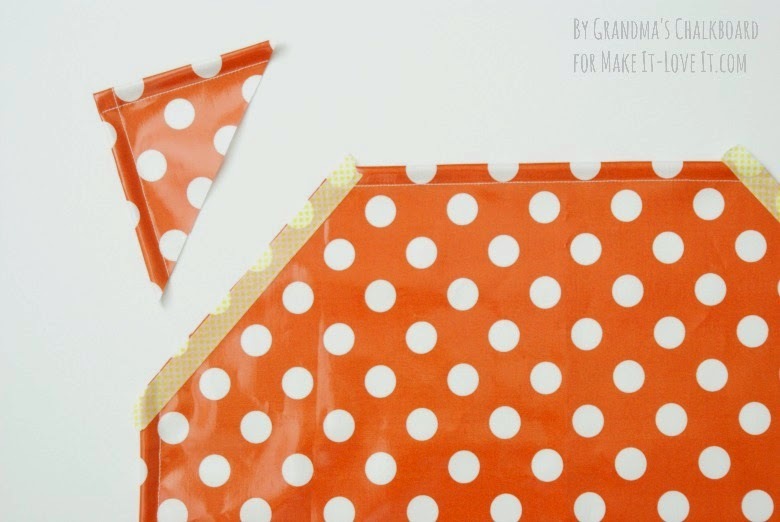 Secure, then stitch, making sure to back-stitch at the beginning and end of your seam. To lace the twill tape through the casing, I taped the twill tape to a pencil and pulled it through, going up one casing, and down the other. So easy! Hem the twill tape ends by turning the raw edge under .5 inch, then another .5 inch, enclosing the raw edge inside. 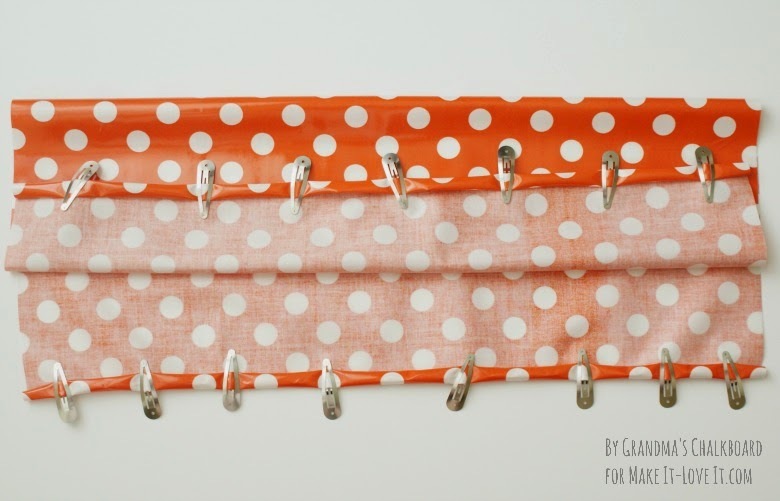 Secure with a zig zag stitch. And it’s TIME TO PAINT! As always, I’ve enjoyed sharing this project with you and hope you’ll give it a try! 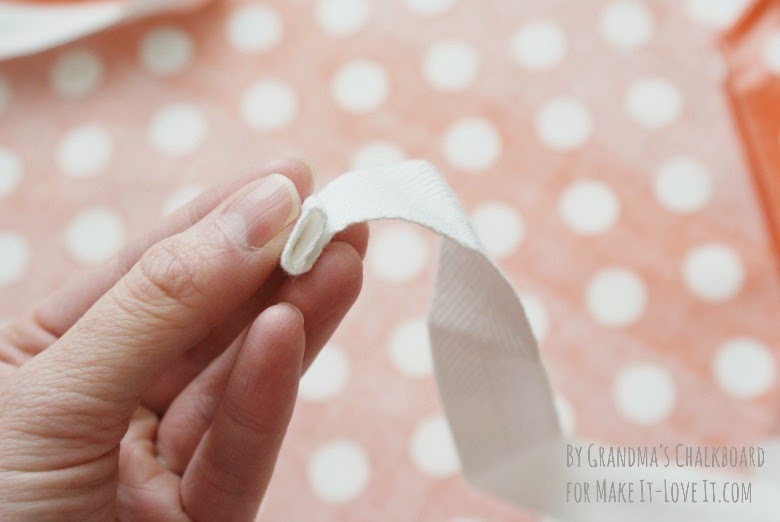 I always have difficulty to sew small pieces like the end of that twill tape (or ribbon, or elastic…). My machine kind of eat it and I can’t have a straight line end to end. 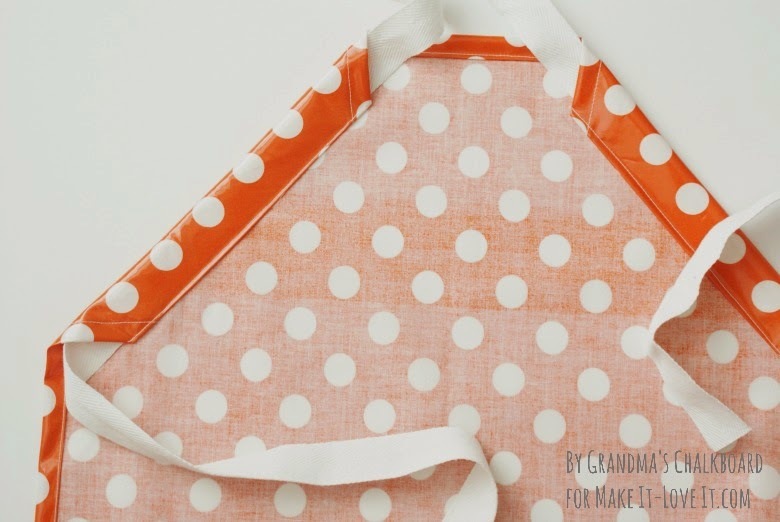 My son has been cooking with me and asking for an apron – this is such a great easy project! thanks!! You’re welcome, Gina! Your son will love it! I love this aprons! So easy to make. This would be such a cute party favor for a cooking bday party. I really love the laminate cotton for easy clean up. I’m excited to try this out. Thanks. Trisha, these definitely are perfect for birthday party favors. Such a great idea! So cute! 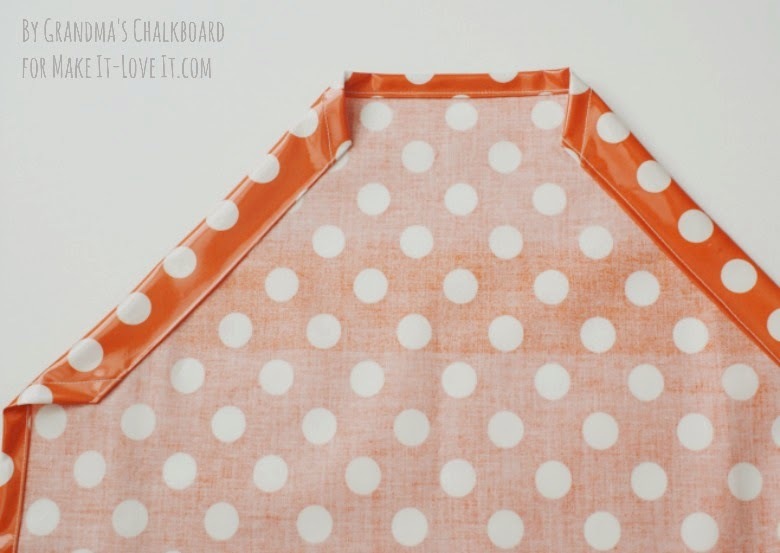 I actually just posted a tutorial with this same idea, but using a dish towel to make an adult apron. 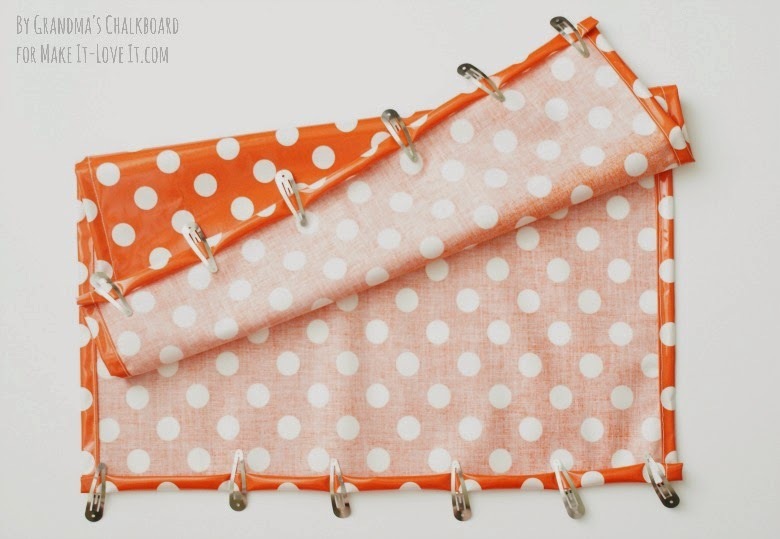 Super easy and cute too!